The 2nd Biennial Within Our Reach Conference concluded on December 12, 2012 at Oregon State University’s CH2M Hill Alumni Center in Corvallis, Oregon. Presented by the Meyer Memorial Trust and the Oregon Watershed Enhancement Board Within Our Reach is a two-day conference designed to connect funders, river restoration professionals, landowners, public agencies, scientists and students across the basin who are working to protect and restore the health of the Willamette River. As the event managers of the conference we had a great time coordinating and assisting such a dedicated group of people working toward the same goals. The experience started December 10th at Oregon State Universities LaSells Stewart Center for a special pre-conference screening of Willamette Through Film. The following two days of the conference turned out spectacularly with three inspiring keynotes, seven plenaries + reports and nine informative break-out sessions. On the technical side of things one of our favorite logistical aspects of this event was the OSU venue. Between the LaSells Stewart Center and the CH2M Hill Alumni Center, the facility provided everything that we needed and then some. The staff, AV technicians, and catering team were all on their game and definitely left us with a great impression. The conference was filled with liveliness, great connections and lasting conversations; check out the photos from the conference below. 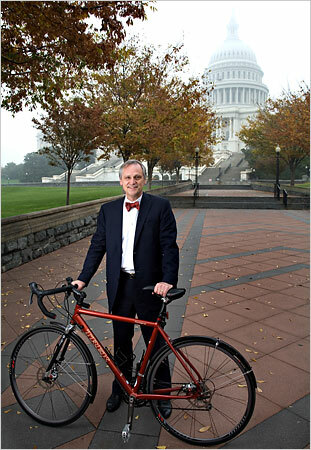 We’ve received word that US Congressman Earl Blumenauer will give opening remarks on Tuesday, October 26, 2010 at the EcoDistricts Summit. We’re very honored and excited to have him on board! Congressman Blumenauer is the perfect candidate to give opening remarks—being a career advocate for sustainability and instrumental in cultivating Portland’s development as a respected international player in the green building and sustainable planning sectors. Portland Sustainability Institute‘s second annual EcoDistricts Summit, which takes place October 25-27 in Portland, Oregon, will bring together policy makers, educators and design, planning and development professionals for dialogue around the ground-breaking concept of integrated district-scale sustainability projects. Topics covered through a district-scale lens include: district utilities, green buildings, smart grid, transportation, urban habitat, water management, waste management and community development. You can also join the conversation on Facebook and Twitter!